Get a load of this! While taking a break from Hollywood, Zack Snyder made a short film entirely on an iPhone for the social media app Vero. Titled Snow Steam Iron, the short film is set on the gritty streets of New York and stars Samantha Jo as a woman who decides to fight back. Co-starring Victoria Jacobsen. Vero explains: "Looking for an opportunity to change the alchemy, to challenge himself with new variables, to literally look at filmmaking through a new lens, Zack envisioned his next project." This turned out pretty cool, especially for a film made entirely on an iPhone without any dialogue. Then again, we shouldn't expect anything less from Snyder. The full short is exclusive to watch only on Vero for the moment, but it is there. Snow Steam Iron. Snow gently falls on the blood-stained streets of a seedy out-of-time New York City. Steam envelopes the nightmare unfolding within its narrow alleys. Iron is the will of the one who would dare to resist… fight… survive. 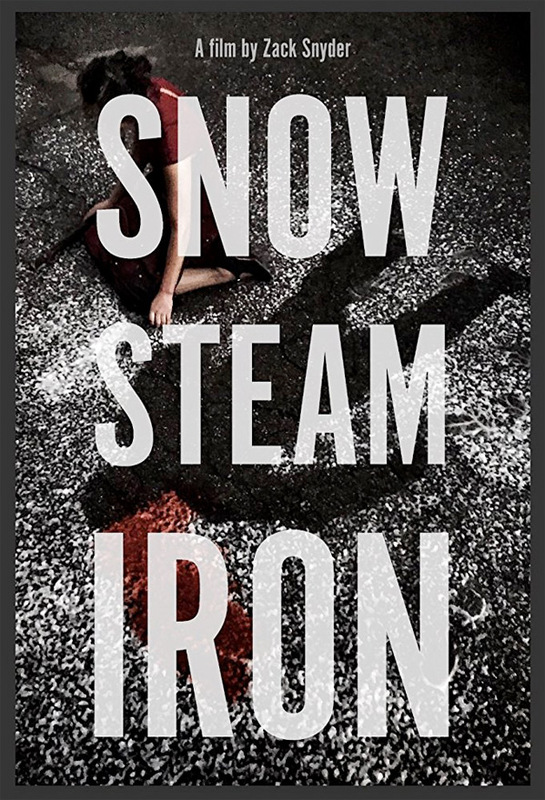 Snow Steam Iron is both written and directed by filmmaker Zack Snyder, of Batman v Superman: Dawn of Justice, Man of Steel, Sucker Punch, Watchmen, 300, and Dawn of the Dead. Here's the pitch: "Embracing the curiosity calling from within, Zack set out to answer the question; what could be accomplished over the course of a few days, with a small group of friends and family, shooting simply on an iPhone." For more info, visit Vero.co. To watch more shorts click here. What did you think?